MARKETS for tomorrow night’s Four-Year-Old Classic at Gloucester Park reveal just how strong the Group One is. 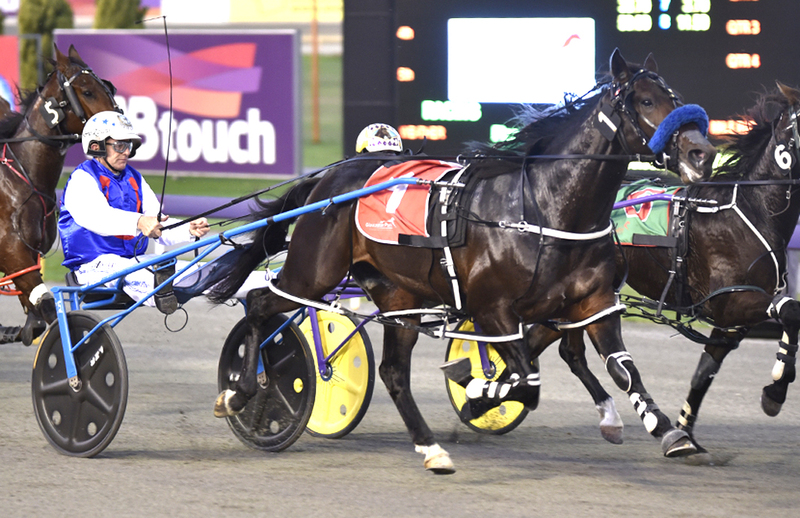 A stylish winner of last week’s Golden Nugget Prelude, Stefsbest is ranked among the outsiders this time around. Successful at his last three starts, which follow a first-up second, Stefsbest is listed at $21 after drawing barrier seven. Boasting four wins and a third from his previous five outings, Think About Me is rated a $31 chance from gate two. Unbeaten from four Western Australian starts, including the Four-Year-Old Championship a fortnight ago, Might Conqueror is paying $12 from the second row. Then there is Jack Mac – regarded by many as a potential superstar. Since arriving from New Zealand in May 2017, Jack Mac has won 15 of his 16 starts while finishing second in the other. Despite his superior record the Barry Howlett-trained entire is at the $21 after drawing the outside of the front line. On the other end of the scale, Ana Malak is a short $1.90 favourite from the pole. With five wins and two placings from seven starts, Ana Malak made a triumphant local debut when he annihilated his rivals in 1:56 over 2185 metres at Pinjarra a fortnight ago. “The odds are a little surprising, but it shows how strong the field is,” Howlett said. “Reverse some of the draws and you reverse some of the odds. “Jack Mac’s barrier draw has made it extremely hard. “As good as he is, it’s hard to be confident from there…he will need a lot of things to go his way. Along with the difficult starting position, Howlett has another concern with the son of Mach Three. “All of the stable had a cold during the last couple of weeks and he’s missed a fair bit of work because of it,” Howlett said. “He is one of those horses where if there is something going around he will get it.